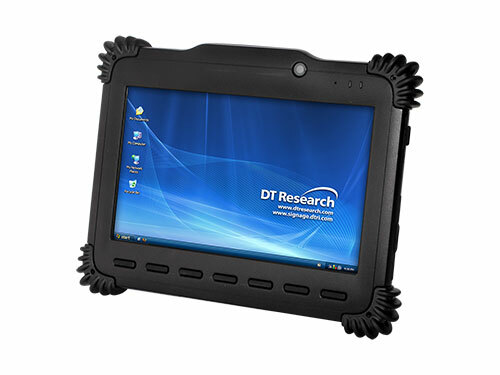 The DT395 features the integration of a brilliant 9" touch screen and a high performance, energy-efficient Intel Atom™ dual core processor within a slim, lightweight, durable package. With built-in smart card reader, Wi-Fi and Bluetooth modules as well as options for a barcode scanner, front and back cameras and 3G connectivity, this robust tablet offers seamless information capture and transmission for improved workflow. 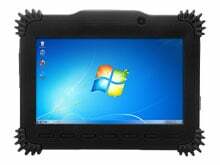 Rated IP65, MIL-STD-810G, and MIL-STD-461F as well as wide temperature range (-20˚C to 50˚C), the DT395 provides reliable operations in harsh, mission-critical environments. 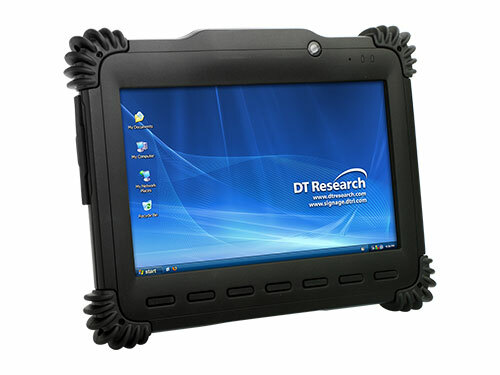 The DT Research 395B-7PB-374 is also known as DTR-395B7PB374	or 395B7PB374	.